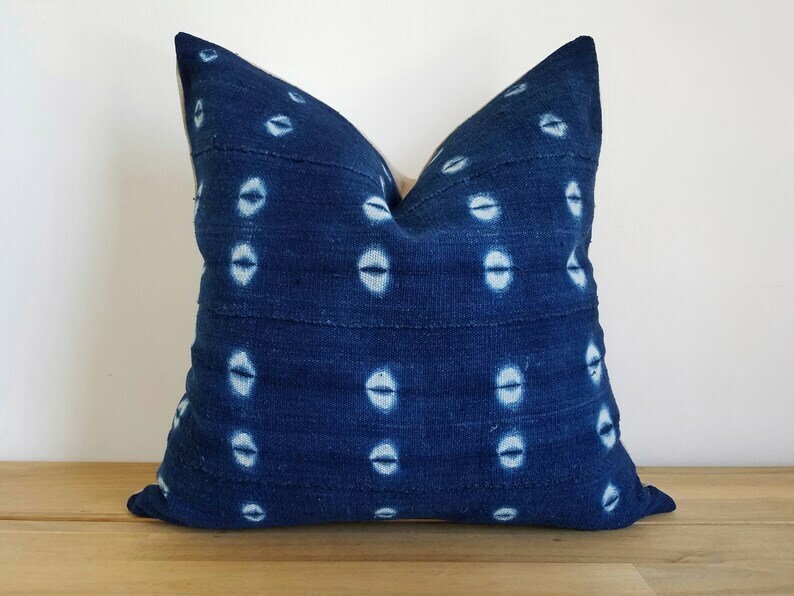 This Indigo is made in Mali, West Africa. Indigos are made of strips of hand-loomed cotton cloths that are hand-stitched together. 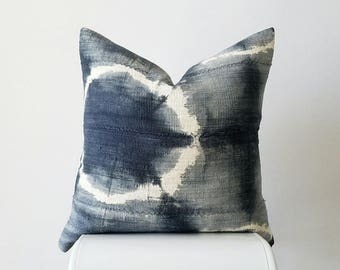 They are then Shibori tie-dyed in small vats of indigo dye to create resist designs. 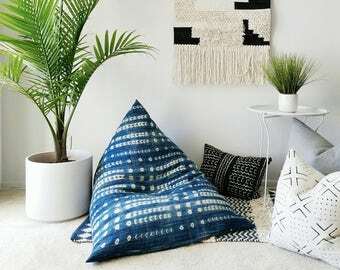 The imperfections of the weave, dye, stitch, and design are a natural characteristic, and serve to enhance the individual uniqueness and charm of each handmade tribal textile. 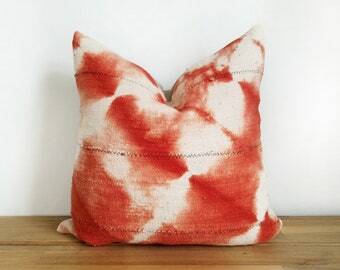 We're happy to create and bring to your home, these beautiful one-of-a-kind pillows! The front of the cover is the pre-washed, 100% cotton indigo strip cloth; pattern placement may vary. The reverse side is a natural unbleached 100% linen. The cover is double-stitched, seams overlocked, stress points reinforced, and features an invisible zipper for easy access and flexible styling. 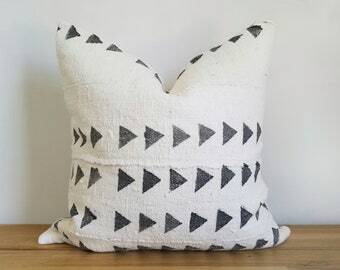 Great looking pillow. I received a lovely Indigo color. Professionally made with an authentic feel. Good communication with seller. Very happy with purchase!